A pair of lawyers from Ligonier stepped forward to rescue Albion’s historic Opera House from long-term limbo. Constructed in 1879 on the north side of the courthouse square, Albion’s Opera House served as a popular gathering space for generations. In recent years, however, the building’s status was uncertain, at least until a pair of lawyers from Ligonier stepped forward to rescue it from limbo. It’s a preservation win a decade in the making. Local preservationists had been concerned about the future of the opera house for years. 1970s “improvements” muddled the interior, carving the second-floor performance space into smaller rooms and hiding original tin ceilings behind dropped ceilings. The historic building next door had been demolished years ago to make room for a gas station, leaving a rickety exterior stair as the only access to the upper floor. As the building languished, a quirky ownership arrangement—the first and second floors were owned by different people who couldn’t agree on a sale price—made it difficult to get the property into the hands of preservation-minded owners. After one of the building’s owners passed away in 2014, The Super Town of Albion Restoration (S.T.A.R. ), the city’s Main Street group, partnered with the Courthouse Square Preservation Society, using a loan from Indiana Landmarks’ Efroymson Family Endangered Places Loan Fund to buy the building. 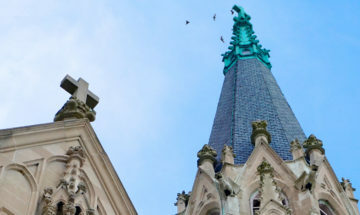 Indiana Landmarks hired an architectural firm to develop a rehabilitation plan and used a $5,000 grant from the Efroymson Family Fund of the Central Indiana Community Foundation to address the most urgent exterior repairs. The groups partnered to market the building, but finding the right buyers proved elusive until Everett and Helen Newman spotted the Albion Opera House on Indiana Landmarks’ real estate web page in 2018. Helen and Everett Newman are rehabbing Albion’s historic opera house as their new law office. 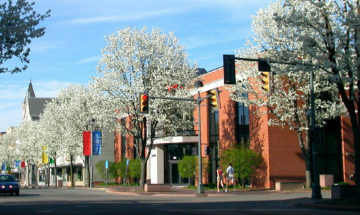 The building’s historic charm and its great location across from the Noble County Courthouse inspired the Newmans to tour the building. During that cold tour last November, the couple looked past the deterioration and saw the building’s unique potential. Sections of the original tin ceiling peeped out from behind the broken dropped ceilings. They thought an old safe door could serve as a conversation piece — or perhaps a place to stick unruly clients — in the waiting room. The paneling could be easily dispatched, and the wagon wheel lights on the second floor, well, maybe someone would want those. Rehabilitation started before the sale even closed. 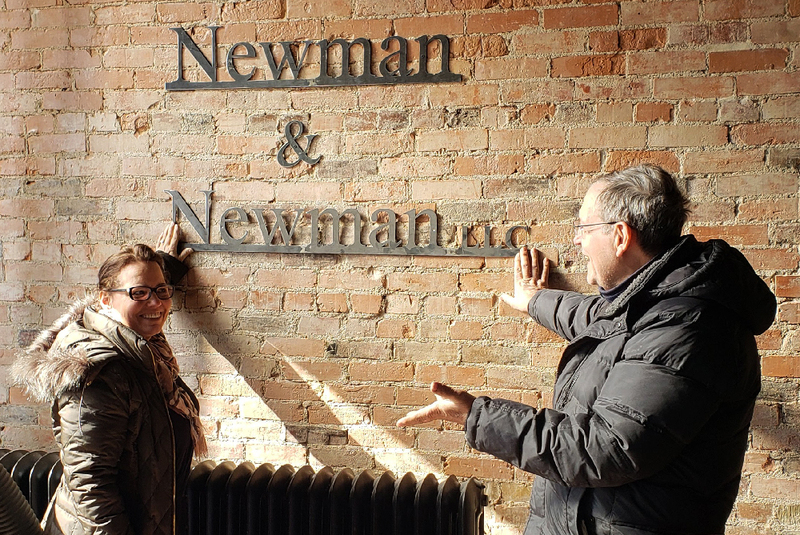 Three months after touring the building, the new offices of Newman and Newman opened in the historic opera house. Next steps include construction of a new interior stair to reach the second floor. The Newmans are still considering what to do with the upper level, where the stage remains. 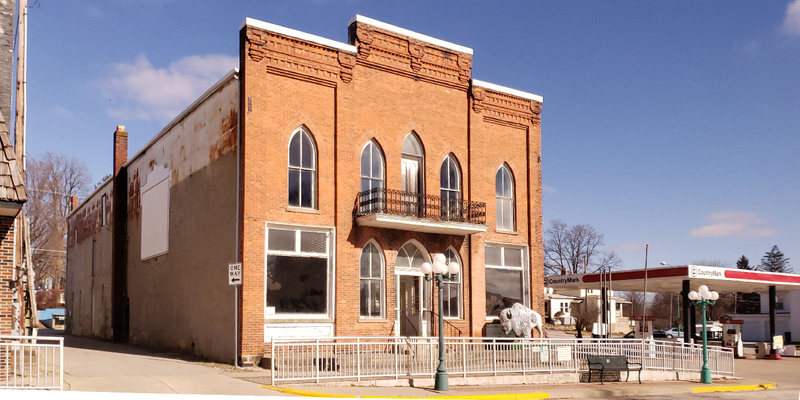 For more information about the Albion Opera House’s restoration, contact Todd Zeiger, director of Indiana Landmarks’ Northern Regional Office, 574-232-4534, tzeiger@indianalandmarks.org. 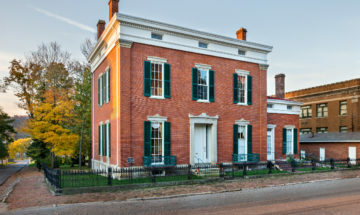 To see more historic properties on the market, visit the For Sale section of our website.